US Southwest is a boutique real estate company comprised of like minded professionals who’s mission is to provide the best professional service so their clients can make informed decisions to achieve their goals. The talent and depth within the company is unmatched in Mohave County. Most of the Principals and Advisors at US Southwest have managed a business or owned their own business. The combined talents provide a unique business platform in which diversity, collaboration, team work, and professionalism, foster a business perspective and environment that generates creativity and productivity, and ultimately, successful results for clients. US Southwest® has the capability, expertise and area relationships to assist it’s clients in any type of real estate endeavor. It’s founders, Ann L. Pettit and Ray W. Jackson III, have worked in every kind of real estate enterprise for over 30 years in Northwestern Arizona and are perceived as innovative leaders and pioneers of the industry. They have a relationship building philosophy and the Mission of US Southwest’s Staff and Real Estate Professionals is to provide our clients with the information they need to make the best decisions to reach their goals. 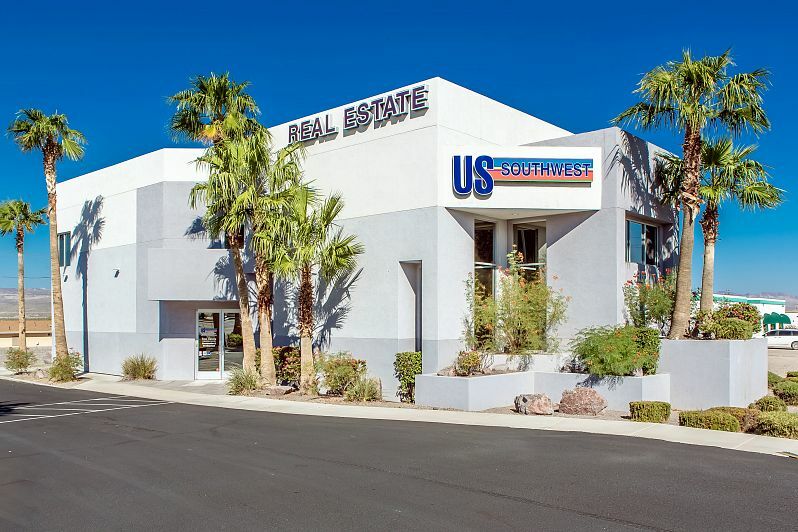 After the hyper-market of 2004 and 2005 US Southwest® further repositioned itself in the marketplace, by adding a property management division and increasing its’ presence in commercial sales and leasing. It also became more active in the listing and sales of raw land postured for development. In the early 2000’s US Southwest® did the acquisition, consolidation and rezoning of properties for the expansion of Providence Hospital (Now Valley View Medical Center), as well as the consolidation and acquisition of properties for the development of the Lowe’s home center in Bullhead City. However, the Company did not have a large presence in commercial resales and leasing until after 2005. It subsequently developed one the area’s most significant property management businesses and became the area’s most prominent commercial sales and leasing company, both at a time when commercial sales and leasing was most challenging. This prominence is the result of the effective marketing design and effort put forth by US Southwest’s® Broker Ann Pettit, whose signs and reputation are well known throughout the area. Team Fahey is so attentive and helpful! They listened to my needs and took control of the whole process leaving me stress free to purchase my first home! I would recommend TEAM FAHEY to anybody! Tiffany Russell made us feel like we were VIP clients. She listened carefully as to what we had in mind and found exactly what we were looking for within a couple of days. She was patient, professional, honest, dependable, sincere, and genuinely wanted to help us. Tiffany is competent, professional, and genuine. Her youthful exuberance is a really big advantage to her clients, and it often results in getting a better price–whether you’re on the buy-side or sell-side. Once you meet Tiffany you will feel like you have known her for years.